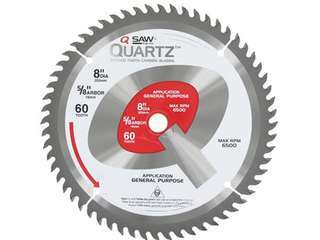 QSaw Professional Quality Wood Cutting Carbide Circular Saw Blades are available for a variety of applications. 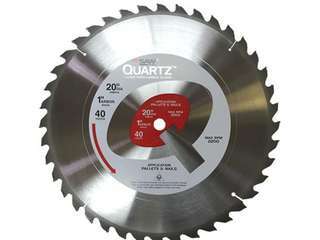 Laser cut bodies which have less distortion than stamped blades. 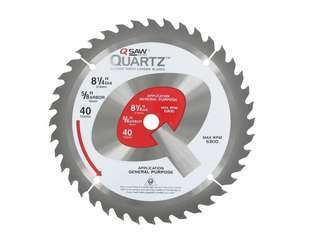 Less distortion means truer rotating blade with less wobble producing straighter cuts. Superior Alternating Top Bevel (ATB) grind for precision cuts. QSaw blades incorporate industrial brazing technology, which creates an extra durable bond between the teeth and body. 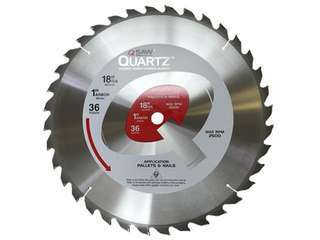 Premium grade carbide teeth for long life. QSaw offers a wide range of blades for many different applications. 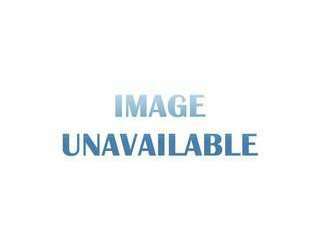 Superior Triple Chip ground teeth excels in a wide range of woodworking applications. Steel demon delivers unparalleled performance and superior quality cuts. 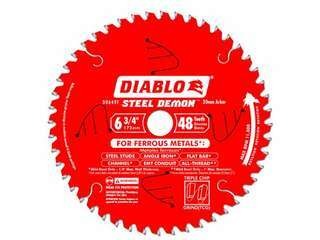 Blades feature Freud's TiCo Hi-Density Carbide, Laser cut bodies, Anti-vibration technology, Perma-Shield Non-Stick Coating, Triple Chip Design, and pretensioned blades. 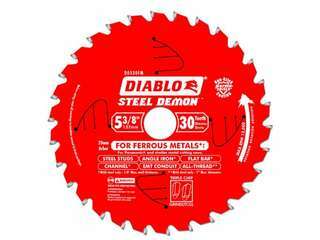 Steel Demon saw blades are specially designed for the extreme demands of ferrous metal cutting; thereby enabling precise cuts without sparks, heat or burred edges that result from using abrasive blades. 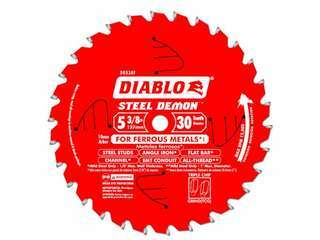 With up to 40X the life of standard abrasive disc, Steel demon delivers unparalleled performance and superior quality cuts. 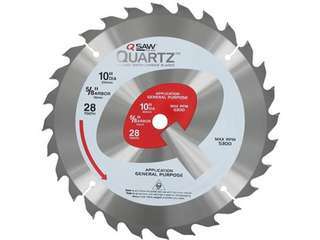 6-1/2" diameter, 48T TCG, 5/8" arbor. Diablo's blade is designed to fit 7-1/4-Inch Circular Saws. 7-1/4-Inch diameter x 38t, 5/8-Inch arbor, 56+ RPM, 1/8 to 3/8-Inch max cut thickness, mild steel. 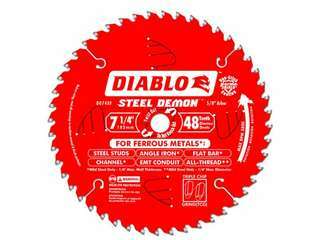 Diablo's blade is designed to fit Evolution, Trajan, Jancy, Morse, and Similar Metal Cutting Saws. 7-Inch/18mm diameter x 38t, 2mm arbor, 39+ RPM, 1/8" to 3/8" max cutting thickness, general purpose steel. Diablo blades can be used on a standard circular saws.